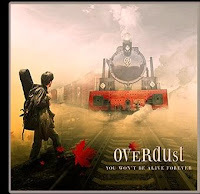 Overdust are a new rock band from San Francisco, California. In their music and lyrics they strive to understand the meaning of life through its challenges and hardships. Sometimes focusing on the intricacies of relationships, other times being more introspective on their philosophies on life and love, their songs never seem insignificant. They greet the world of rock music with their debut album, "You Won't Be Alive Forever", due for release later this year. This debut album is a remarkably balanced rock-music experience. A great mix of rockers & ballads gives it a natural ebb and flow from front to back. The band knows when to ease up into a melodic guitar riff, or rip with an infectious guitar solo at every right moment. Until their album is released you can sample some of their music for free online. 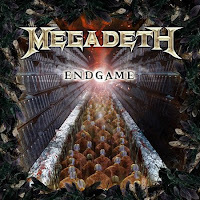 Megadeth gave us the album Endgame in '09, and for the 4th consecutive time, have produced a thrash album arguably better than their previous effort. Since 1999's Risk, Endgame marks an even decade of consistent and impressive return to form for Megadeth. In spite of the addition of a new lead guitarist, Chris Broderick, the band has retained their razor-sharp groove. Mustaine joins Chris for numerous tandem guitar solos, as well as trading leads throughout the album. 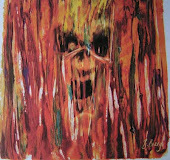 The riffs tear into your chest with a vigor that matches the material from United Abominations. In many instances Endgame deals with some serious issues like the recent financial meltdown and economic hardship, as well as war and governmental arrogance. However there are places where the mood lightens up just a bit and the music is simply about thrashing out to Megadeth's insane, shredding riffs & screaming guitar solos! 21st Century Breakdown proves for Green Day that their visionary, self-reinventing American Idiot album from '04 was not just a fluke. This new album matches it's predecessor in vision, musicianship, and attitude. The songs once again paint a picture of life in a society on the brink of revolution and the struggles that go with it, paralleling many of the themes from American Idiot, but expanding into it's own concept as well. As with American Idiot, there are recurring characters whose eyes the story is told through. For 21st Century Breakdown, the cast is a couple with the symbolic names Christian & Gloria. Whether its a struggle against a government that leaves them out in the cold, or a social norm they rage against, the story of Christian & Gloria is one that strikes a chord in all of us. 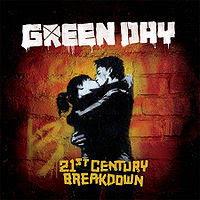 Musically, Green Day's punk-rock roots are still apparent throughout 21st Century Breakdown, although more piano can be heard on this album than on any previous Green Day album. This adds a new dimension to their sound, and it blends in seamlessly. The best examples are probably the title-track, "Last Night on Earth", and "Restless Heart Syndrome"
Thematically the album is broken into 3 acts: Heroes and Cons, Charlatans and Saints, and Horseshoes and Handgrenades. A slightly different mood is set for each segment, although the whole album still flows well from start to finish.